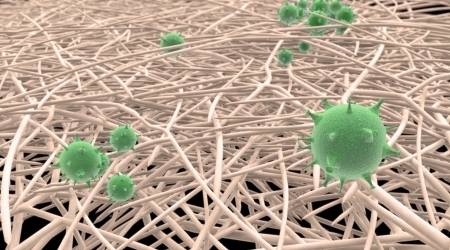 The illustration shows the nanofibers in white and the virus in green. Incidentally, it was the Swedish chemist J.J. Berzelius (1779-1848), one of the most famous alumni of Uppsala University, who was the first one to use the pure wet-laid-all-rag paper for separation of precipitates in chemical analysis. In a way, the virus removal nano-paper filter developed by the Uppsala scientists is the modern day analogue of the widely popular Swedish Filter Paper developed by Berzelius nearly two centuries ago. The article is published in the Advanced Healthcare Materials journal on March 31, 2014. Read about previous research on how the distinctive cellulose nanostructure of the Cladophora algae can serve as an effective coating substrate for use in environmentally friendly batteries.